Today Andrea, Narci, and I are starting a new series!!! 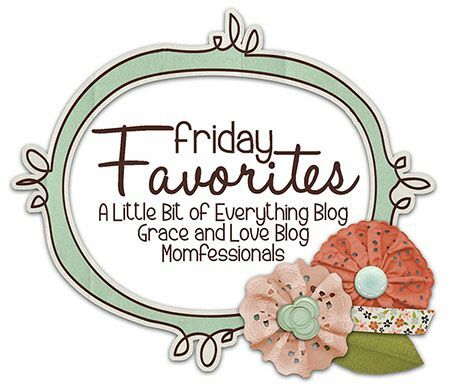 It's called Friday Favorites! We'd love for you to join us and link up. You just blog a favorite moment, favorite picture, favorite verse, favorite ANYTHING and then share it with us!! We can't wait to read all about your faves!! I'm sharing a favorite moment. The kiddos and I tagged along on Tab's work trip. We're at Barton Creek in Austin. He's having meetings and golfin' it up while we hang out! Yesterday morning it was kind of cool, breezy, and a little rainy. Barton Creek has a nature trail. We'd done it the night before with Tab, but we didn't do the whole thing. We took a detour onto the cart path and walked part of the golf course. BEAUTIFUL! 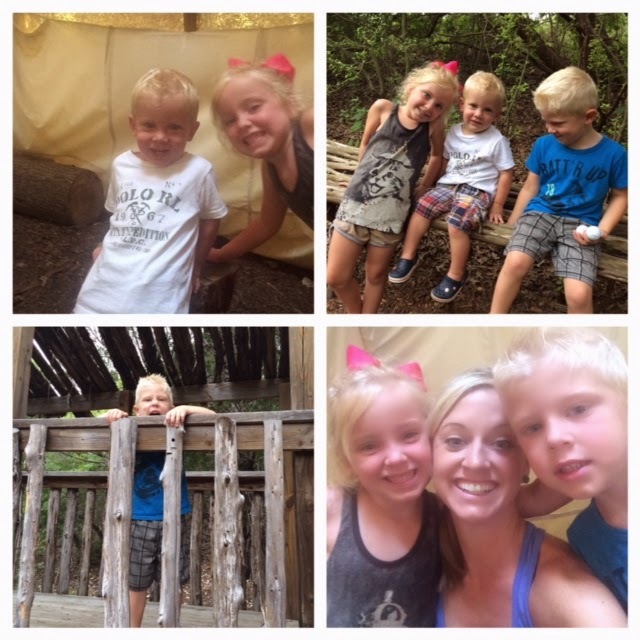 But...anyway, the kiddos and I decided to do the entire nature walk and we had SO MUCH FUN!!! There was a tee-pee along the way and a spot to look out. Ebby Lee pretended she was our tour guide. Nixon kept watching for bears and he thought we were SO lost! Bowen got tired about 1/10 of the way through and I carried him the other 9/10 of the way!! I just stopped in the middle of the craziness and thought I want to remember this forever! We were all having a blast! We were living out our "Hot Mess" status, but when they're older I'm SO going to miss these moments!! I should add that about 40 minutes in when we saw other people I MIGHT have yelled, "How much longer do we have!!?"!! hahahaha!! I was starting to get a little nervous like Nixon that we were never going to make it out, but while we were in there...it was definitely a FAVORITE moment!! I'm so glad you guys are having fun! Hurry home though...I miss you girl! Austin is a fantastic city for quick trips. It looks like the hike was a great way to get "lost" in the city! My family tries to go every summer for the yearly musicals the city puts on in Zilker Park! Thanks for hosting this link up! Barton Creek is so beautiful...glad y'all had such a fun time. What fun explorers you have! Thanks for hosting the link up I can not wait to see everyone's favorites. Such sweet memories with your sweet family! So excited about the new link-up! Awww your kids are so cute! What a sweet memory to share with them! What a sweet "favorite"! Time is a thief!! !